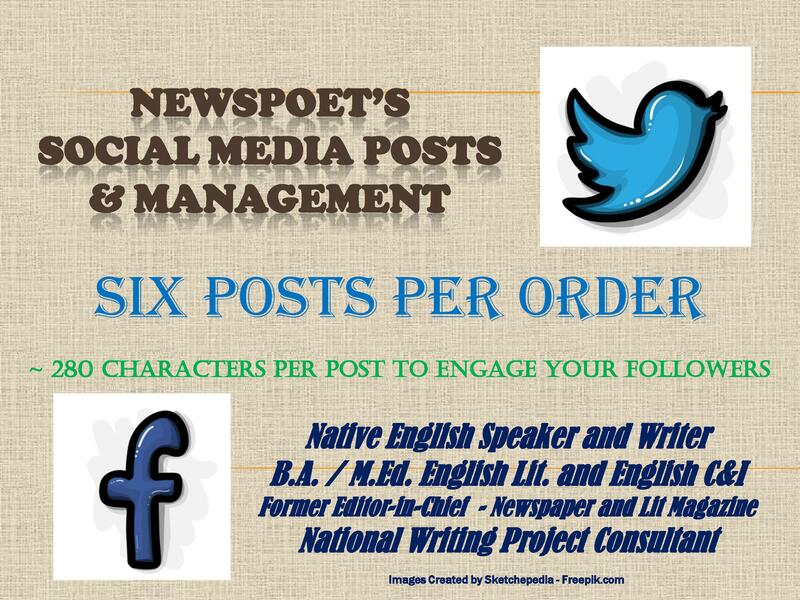 I will write engaging posts for your Facebook or Twitter Account, so you can keep your followers engaged. Posts will be up to 280 characters and can include one hashtag of your choice. I can design your posts to sell your products or engage your followers with interesting "Did You Know" type facts related to your field of industry. I can also include "lame" jokes, and (for a bit extra) create a feedback poll or two. I will deliver these posts to you via pdf for you to post yourself or post directly to your social media page should you decide to give me the privilege. Engagement is the name of the game in social media, so lets get your followers engaged!